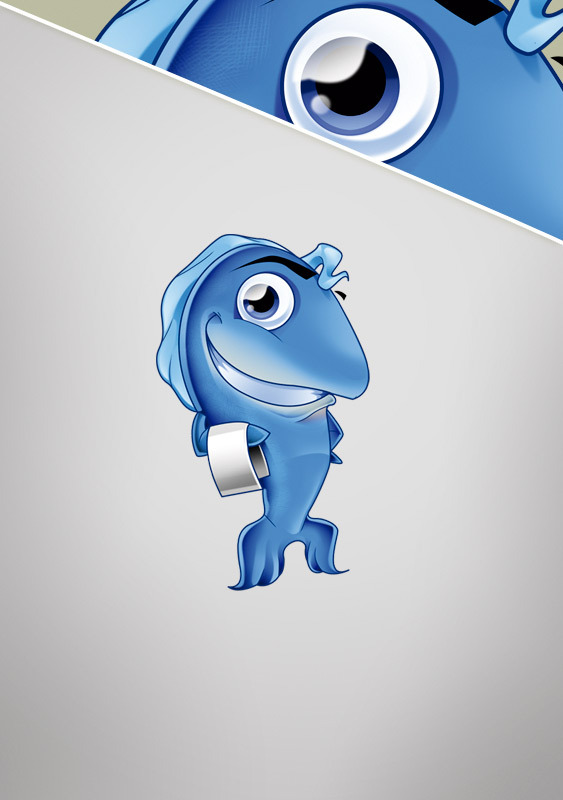 This waiter fish was a mascot design made for a small fast food restaurant located in Spain. Customer requested a very friendly fish that could be used as mascot for the establishment. We tried a few different concepts including one with a jacket and bow but seemed to fancy for the fast food entry, in the end the above mascot was the winner.